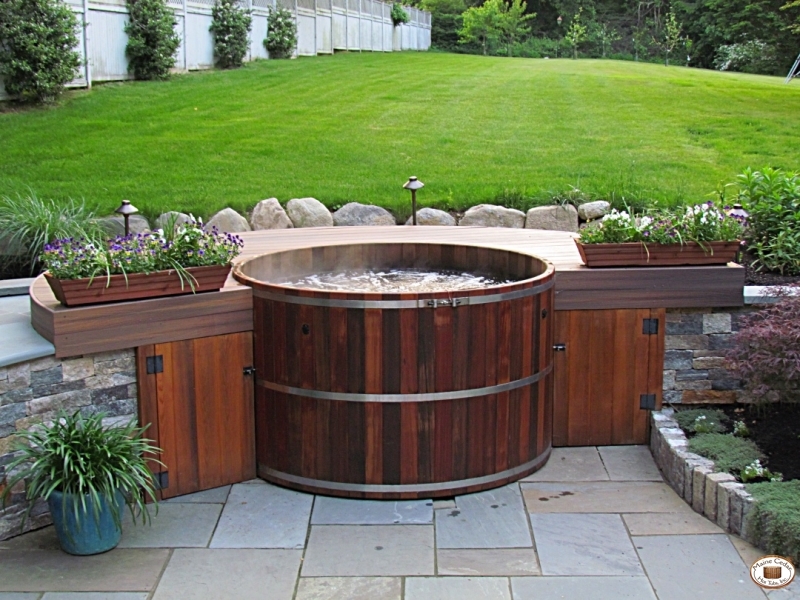 Maine Cedar hot tubs and spas can be mounted in a deck and blend in with their surroundings. Our conventional line comes in natural or cold-moulded versions, and you may also choose from several heating options including electric or gas – check out some of these examples! 6 x 3.5 Natural Cedar Tub, deck insert. West Hampton NY.